A credit hour is 50 minutes of a lecture or seminar course (this assumes approximately 2-3 hours of work outside the class). A two credit course typically has 100 minutes (two hours) of class time and requires 4-6 hours of study or preparation per week. Over a 15 week semester (including exams) a typical two-credit academic course is the equivalent of 90-120 hours. A credit hour is granted for 11 weeks of scheduled rehearsals, plus weeks of auditions or performance. One credit hour is 5-7.5 hours/week of large ensemble playing (55-82 hours per semester). Ensemble credit for chamber music assumes approximately the same number of hours, divided between ensemble playing and practice. 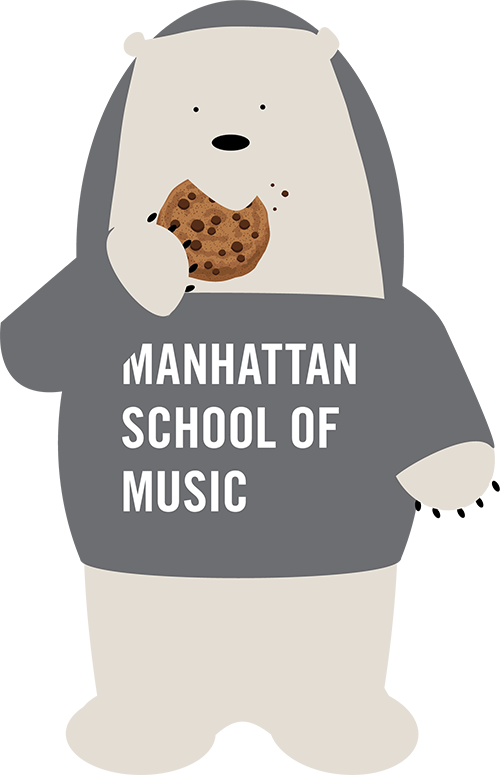 Jazz ensembles at MSM require more extensive individual preparation, and carry 2 credits per semester. Lessons run for 14 weeks plus one additional week of jury examinations. Credit varies according to the level of the student. Freshmen and sophomores receive 3 credits for one 60 minute lesson plus 11 hours per week of practice for 14 weeks (approximately 168 hours per semester). Juniors and seniors receive 4 credits for one 60 minute lesson plus 14 hours per week of practice for 14 weeks (approximately 210 hours). Masters’ students receive 5 credits for one 60 minute lesson plus 16-17 hours per week of practice for 14 weeks (approximately 245 hours per semester). Professional Studies and Doctoral students receive 6 credits for one 60 minute lesson plus 18-20 hours per week of practice for 14 weeks (approximately 280 hours per semester). Artist Diploma students receive 8 credits for one 60 minute lesson plus approximately 24 hours per week of practice for 14 weeks (approximately 350 hours per semester). Credits are granted on a case-by-case basis, established as a standard at the time the independent study is approved. Typically independent studies involve individual meetings with a faculty member and approximately 40-50 hours of independent work per credit. Once a year, the Curriculum Committee in collaboration with the Provost and Registrar’s offices, review the assignment of credit hours to ensure consistency.